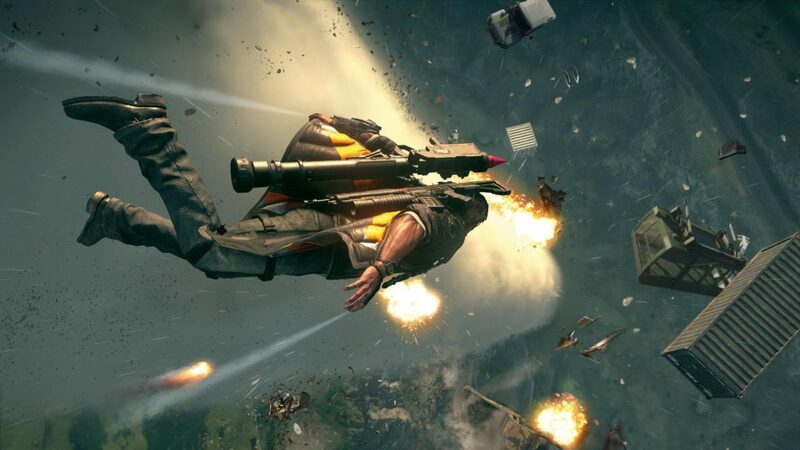 Weaponized wingsuit is one of the gold edition bonus items in Just Cause 4. Everyone who bought the gold or deluxe edition of the game is supposed to get the Black Hand Skystriker, along with several other items, like the stealth jet, golden shotgun and more. A number of players have reported being unable to obtain these items in the game, which is why we’ve written this guide, to show you where to find gold edition bonus items in Just Cause 4. How to get weaponized wingsuit in Just Cause 4? The weaponized wingsuit, along with all the other bonus items, is supposed to become available via airdrop after you’ve finished the introductory part of the game. You shouldn’t have to do anything special to get it – just call your black market dealer and have them deliver the goods. However, there seems to be a bug making the rounds here, and it’s mostly affecting Xbox players (although we’ve heard reports from PC and PS4 owners as well). Some are convinced that it’s going to be fixed with the day one patch, which will be released tomorrow. Keep in mind, if you have the gold or deluxe edition, you got the game a full day before launch. It isn’t released yet. People who aren’t playing on Xbox reported getting access to the items later on, after completing different missions in the story. Either way, you’ll have to wait until tomorrow to see whether the patch fixes things. If not, you should contact support and present your case. One thing you could try is check to see whether the game had downloaded the bonus item DLCs. Often the console doesn’t download the add-ons which actually add the bonus content to the game, although it seems that isn’t the issue here. Still, it’s worth checking.